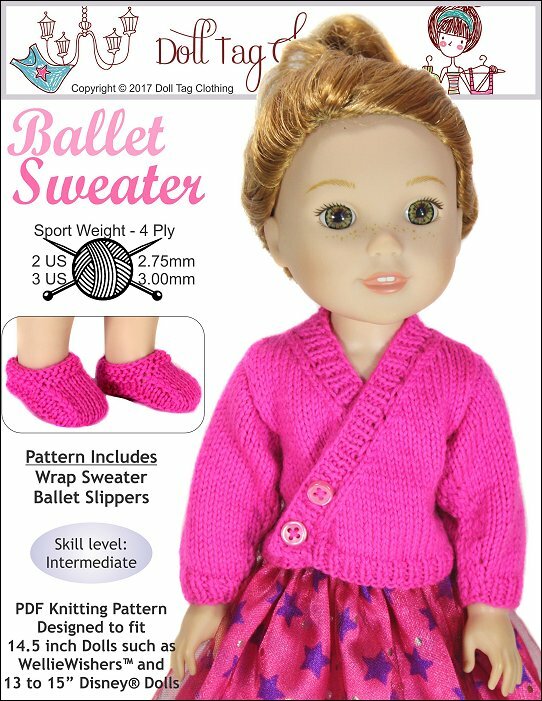 You can knit an adorable ballet sweater for your 14.5 inch doll with this PDF pattern. This pattern also includes instructions for ballet booties! 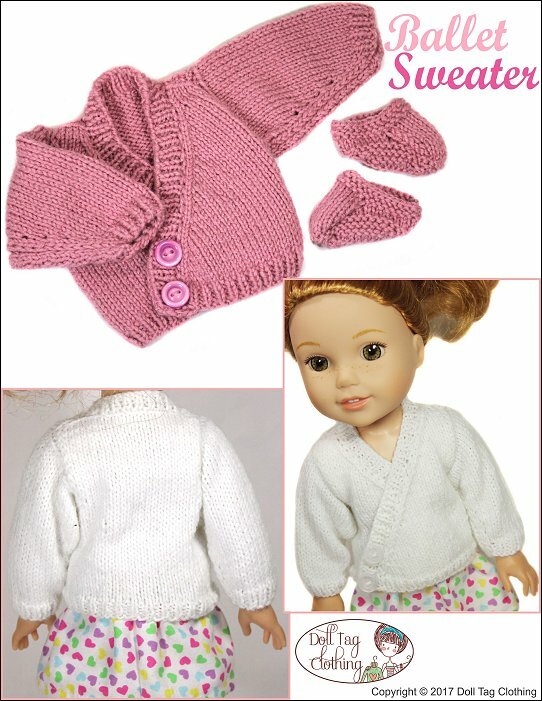 Your doll will be ready to dance with sweaters made from this doll knitting pattern. This is a loose fitting sweater for easy movement. It closes in the front with buttons in a wrap sweater style. Ballet Sweater Knitting - 14.5 inch comes with the following format(s) and is an instantly download after checking out.